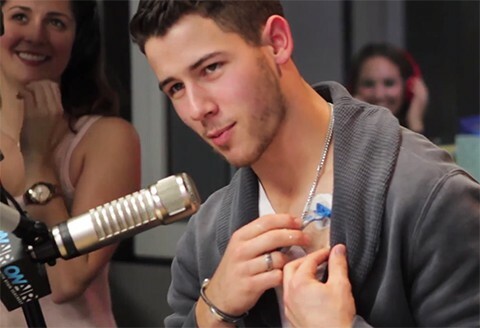 Nick Jonas dropped by "On Air with Ryan Seacrest" this morning and found himself getting more than he bargained for. His much talked about crotch was commandeered for a game of "Crotch Ball" that had a distinctive air of truth or dare to it. As Gossip Cop notes: "The rules were simple. Seacrest attempted to throw a ball through a hoop that was attached to Jonas’ waist (above his crotch). If he missed, the “Jealous” singer had to perform a dare."